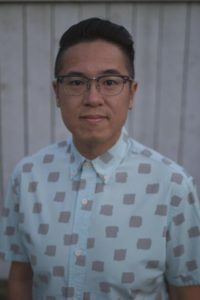 As the Booking Manager for the Northern Alberta Jubilee Auditorium, Tony Bao has seen the likes of Beck, Nick Cave, and Twenty One Pilots grace his stage. With a career that has never strayed away from the entertainment industry, Tony has also managed to maintain his true passion, and would identify himself primarily as a musician / recording artist, fronting the band Charcoal Skies. In addition, he is the head Sound Designer and Composer at Suite One Productions. His most recent credits in both disciplines include the short film Nightwalk for TELUS Storyhive, the feature length documentary Brothers in the Buddha, Beneath the Surface documentary series on TELUS Optik Local, and the short documentary Peace River Rising for the Canadian Broadcast Corporation. An Arts and Cultural Management graduate, Amanda has over a decade of experience in the music industry. A large portion of her career was spent doing marketing and promotions for Union Events, one of Canada’s largest independent concert promoters. Amanda began working independently in 2016, providing event management and marketing solutions for national and international companies such as ConcertWorks, Starlite Room, AEG, Goldenvoice, Toothblackner and more. Amanda’s professional experience expands from club level events and helping new artists get noticed, to national tours and festivals. She has also done volunteer work with Factor, Harvard, and the Juno Awards serving as an Industry Juror. Never a musician herself, Amanda’s real passion has always been working behind the scenes connecting artists to their fans and seeing the precious interaction and celebration of one of the greatest things in life, music. 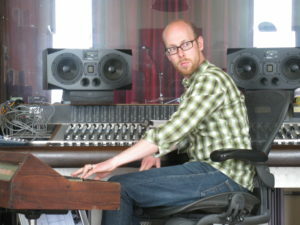 Known for taking the best of traditional techniques and integrating them seamlessly with modern technology, Josh began his career as a producer and engineer in 2001. Gwilliam has held his place behind the glass for the last 16 years working with a wide array of artists. His work as an engineer with The Road Hammers, and George Canyon resulted in Platinum Records and Juno Awards for both artists. 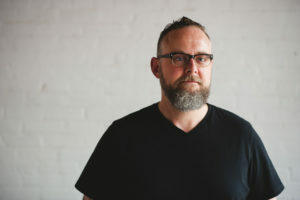 Gwilliam’s distinctive approach to music has led him to work with artists such as Michael Bernard Fitzgerald, Sass Jordan, Ghosts of Modern Man, and Transit 22. Gwilliam has also worked as a respected freelance producer in various studios across Canada and the USA and has now made his home at OCL Studios in Calgary. 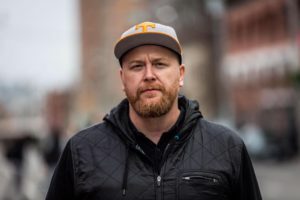 An award winning producer and composer, Mitch is also the founder of Beat Drop music production and DJ school, and Redemption Audio a music and sound house for the Film, TV, Advertising and Interactive industries. He has produced music for SyFy, Netflix, Lifetime, Warner Brothers, ESPN, Oakley, Nissan, Lamborghini, Activision, Nintendo, Adidas and many more. Mitch loves to pull the curtains back on the secrets of modern day production and enjoys mentoring the next gen of laptop producers and further his mission of music curriculum reform in Canadian Schools. 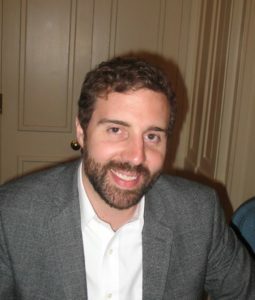 Graham Lessard has been active in the Canadian music industry since 2003. As a producer and engineer, he has made recordings that have earned multiple Juno nominations and been shortlisted for the Polaris Prize. He has also worked extensively as an educator, mentoring emerging production talent from Canada and abroad at the Banff Centre and the University of Lethbridge. Graham is a trustee with the Scotlyn Foundation, one of the founding partners of the Alberta Music Cities initiative. Brent Oliver is one of the most earnestly dedicated champions and patrons of the Arts in Alberta and Canada. For over 25 years Brent has devoted himself to developing and promoting Alberta arts initiatives, events and artists. This life-long calling grew from Brent’s passion for culture. As a young musician looking for opportunities to perform in Edmonton, he took the initiative to organize and promote local concerts and encouraged other provincial and national acts to play Edmonton. In 1990, he founded Green Pepper Records, an independent label which produced local compilation albums, giving dozens of artists a platform for their original music to be promoted and broadcast on campus radio. After earning a Music Degree from the University of Alberta, Brent worked as a talent buyer, booking local and touring acts at the Rev Cabaret, New City Likwid Lounge and the Sidetrack Café – some of Edmonton’s most iconic live music venues. Guided by his confidence in the strength of Alberta’s music community, and his desire to help it grow, Brent established (and became Director of) Foundation Concerts, an Edmonton based concert and arts event promotion company which brought some of the most prominent touring acts to Western Canada. Through these experiences Brent established a vast network of industry contacts across North America. This led to a unique opportunity for Brent where in 2010 he accepted a position as an Agent with Winnipeg based Paquin Entertainment, one of Canada’s largest international talent agencies. In 2012 Brent’s heart brought him back to Alberta. He began a role with the Province as the Alberta Legislature’s Events Coordinator for two years. In his first role in public service, he helped break the Canada Day attendance records in 2013 with 52,000 visitors, then again in 2014 with over 75,000 enjoying the national event. In 2014, Brent brought his wealth of arts and event expertise to the City of Spruce Grove as Director of Cultural Services. The burgeoning community outside of Edmonton is home to nearly 35,000 residents, and is the cultural hub for the Tri-Municipal region that includes the Town of Stony Plain, and County of Parkland. His responsibilities include management and operation of the Horizon Stage Performing Arts centre, city liaison to the Allied Arts Council and Spruce Grove Library, Public Art, City Cultural Events, as well as development and execution of the City’s Cultural Master Plan, delivered to council in June 2016. In addition to his full time work, Brent continues to consult and volunteer on countless cultural initiatives. In September 2013, Brent was elected Director of the Alberta Music Industry Association and currently sits as Vice-Chair of the board. He is Artistic Director of the UP+DT Music and Arts Festival in Edmonton and was committee member and ambassador for the 25th-anniversary music showcases for Edmonton and Nashville's Sister Cities Celebration in August of 2015. 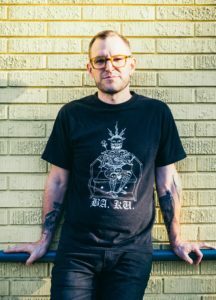 Brent’s management company, BOP, had a very successful management relationship with Edmonton act Wool on Wolves, and currently is representing local pop-rock outfit The Hearts and Winnipeg two-piece Duotang. Brent is a founding committee member of the Edmonton Live Music Initiative, and project geared on saving local venues in Edmonton from extinction. . Recently, Brent assisted in raising over $15,000 for the Red Cross to benefit the displaced residents of Fort McMurray following the wildfires of May 2016. Brent has been nominated for a Community Excellence Award by the Western Canadian Music Alliance at Breakout West in October 2016. Finally, Brent continues to give his knowledge on music juries, and cultural industries consultations with the Alberta Government and Western Industry Associations as well as career consultation to a number of Western Canadian artists. Brent has spoken at a number of industry events and panels regarding community engagement through arts & culture, best practice for Canadian touring and career development for musicians, along with cultural strategic planning, policy and placemaking. Calgarian Adam Oppenheim is the Managing Director of concert promotion company Stampede Entertainment Inc. (“SEI”), as well as its subsidiary Stampede Concerts Inc. (“SCI”). In 2003 Adam started his first music venture, Funk Lotion Promotion (“FLP”), in his dorm room at the University of Alberta. Throughout its three-year history FLP toured Alberta artists across Canada, promoting over 100 concerts and events. In 2007 Adam began his work with SEI and SCI, overseeing the Calgary Stampede’s Saddledome Concert Series. He has proudly promoted concerts including, but not limited to, Garth Brooks, Katy Perry, KISS, Shania Twain, Taylor Swift, Bon Jovi, Keith Urban, George Strait and James Taylor. Adam initiated SEI’s artist development program, ensuring Alberta musicians the opportunity to open for music’s very biggest stars. To date this program has resulted in the showcase of Alberta talent to over 72,000 concert attendees. Adam holds both a Juris Doctor from the University of Calgary Faculty of Law and a Master of Business Administration from the Haskayne School of Business. Adam’s legal practice included entertainment law, providing counsel to bands, managers, promoters and festivals. Although he left the practice of law to focus on the music industry full-time, Adam remains an active member of the Law Society of Alberta. 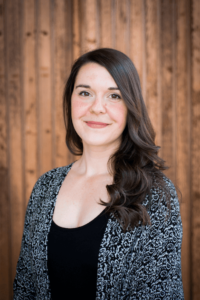 Born and raised in Edmonton, Allison Pfeifer has worked in various genres of music as a grants consultant, arts administrator, and programming and production manager. After earning both a Bachelor of Music and Bachelor of Commerce degree in business law and economics from the University of Alberta, Allison obtained a Master of Arts in Music Business from New York University. During this time, she worked as Licensing and Royalties Analyst at TVT Records/TVT Music Publishing and also in the publicity department of Nettwerk Music Group’s New York office. The close-knit Canadian music community drew Allison back to Vancouver, where she was Product Manager and Assistant Label Manager at Bodog Music, an indie label, management and publishing company. In addition to managing day-to-day operations and tours of several bands, Allison was responsible for promoting the Bodog brand through various label showcases, special events for bands on the Warped Tour, and was involved with the Bodog Battle of the Bands and Bodog Fight television shows. Upon return to Alberta, Allison was an Arts Development Consultant at the Government of Alberta’s Arts Branch, overseeing the Alberta Foundation for the Arts grant programs in music, sound recording, arts festivals, arts partnerships and arts presenting for seven years. During this time, she programmed and produced the inaugural Alberta Arts Days (now known as Alberta Culture Days); advised Alberta Music on the Untapped Alberta project; produced the AB2: Alberta’s Playlist compilation; and produced artist showcases at the 2010 Vancouver Olympics, 2012 London Olympics, and PEI 2014. 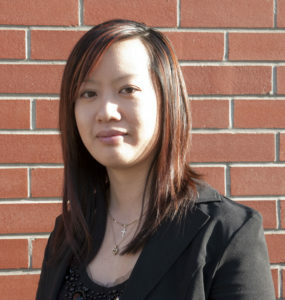 She has been a regular jury member for FACTOR, Alberta Showcase, Peak Performance Project and Project Wild. In 2014, Allison took a secondment to the Cultural Industries Branch as Lead, Cultural Industry Strategy Development, where she was responsible for developing the Cultural Industries Action Plan. As of June 2016, Allison moved to the Ministry of Economic Development and Trade where she is currently Acting Director, Mission and Visits Planning. 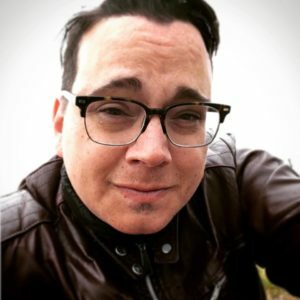 I’m a Rural Alberta born failed cowboy and music nerd with over 12 years of commercial radio experience in several different music based formats. I began my career on the music retail side; doing my work placement at a music store in high school, then working for AV Entertainment, CD Plus, Music World, and HMV before entering radio. In radio, I have been heavily involved in the programming and promotions side along with on-air and music scheduling. The Radio industry has taken me all over the province with years spent in Edmonton, Medicine Hat, Grande Prairie and now Fort McMurray. Along the way I also did promo and posters for Frontside for a while, and have helped here and there doing everything from working the merch table to load in/load out, transport, etc. I have also been on several social profit boards including Big Brothers/Big Sisters, Toys for Tots, and currently the Fort McMurray SPCA.